Setting and writing New Year’s Resolutions ring in with the new year. It is the time of year when most people reflect on their lives and take inventory of what went well and where to adjust the sails. If you are like most people, you have many good things that happened in the past year, some bad, and some things that were not in your control. For me, resolutions just mean goals. I write them down so that I am intentional with my life. 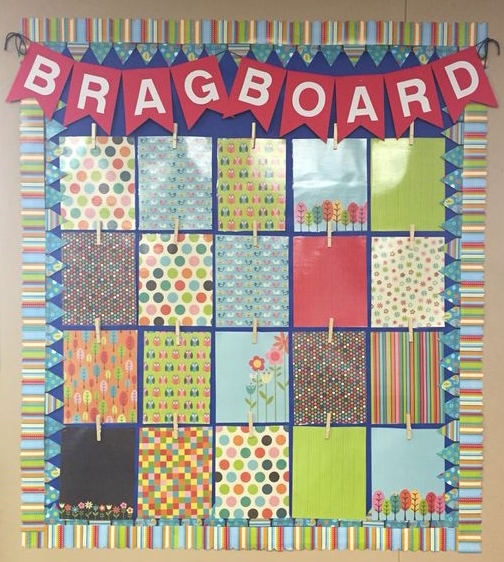 Setting goals is a good practice to teach kids. I did it with my own, and I do it in the classroom. On our first day back to school, I will gather the kids together on the carpet and discuss what good things have happened this past year. I also ask them what they can do better. They know. Some people think that kids won’t be able to set goals, but I can attest that first graders are super goal setters and achievers. So, if first graders can write New Year’s Resolutions, anyone can. 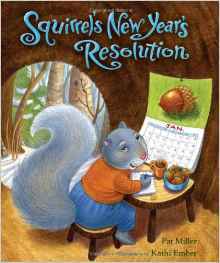 Read a book like Squirrels New Year Resolution in order to define a resolution. 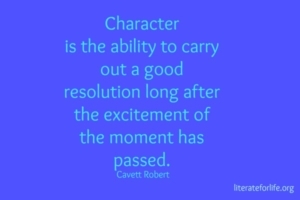 Give examples of some of your own resolutions. 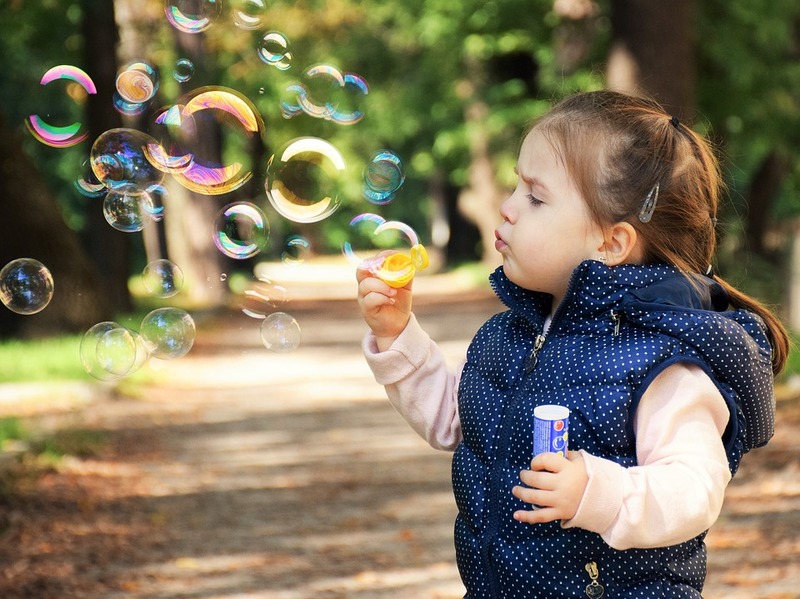 In all of life, attitudes and actions are mostly caught by our children not taught. Children do what we do. We are their role models. 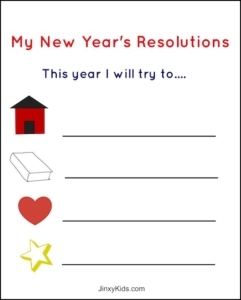 So set and write some of your own New Year’s Resolutions and share them with your children. Write down all your children’s ideas. Lead them to think about the following categories: family, friends, and self. I like this planner to guide the brainstorming session. It has room for four goals – each in a different category. Home: What are some things they could do regarding home life? Keep their room clean? Help with household chores? What are some ways to help prepare healthy food? School: What is a good academic goal for this year? Certain grades? Something new to learn? Caring: What resolution can we set to help others? No fighting with a brother or sister? Raising money to help a favorite charity? Extra Credit: What is one BIG goal that might be hard to achieve but is worth striving for? What is something you want to achieve for yourself? 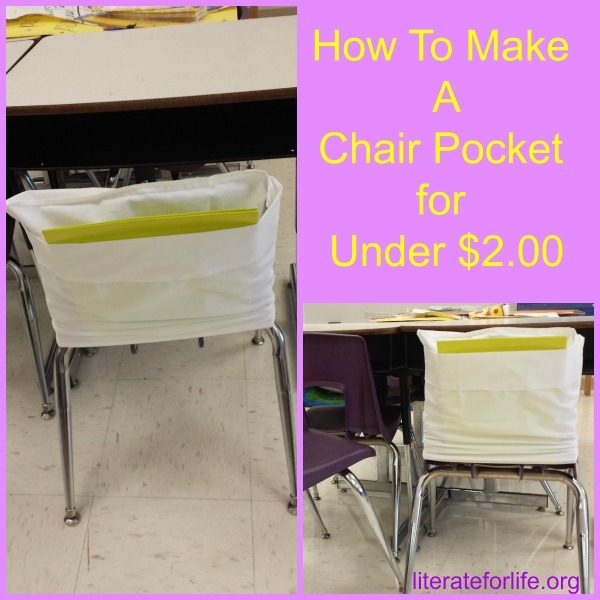 Click here for another free printable option. 3. Use a calendar to write the steps down. 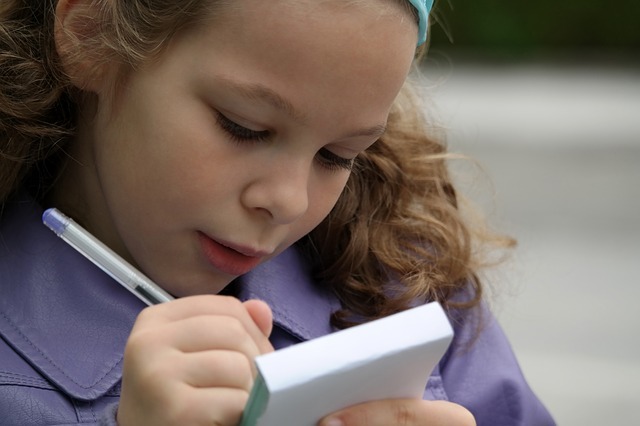 Once your children have a list of ideas, you can help them come up with an action plan to achieve them. This is a life applicable skill that brings huge dividends. Once your children reach a goal, they will want to obtain more. 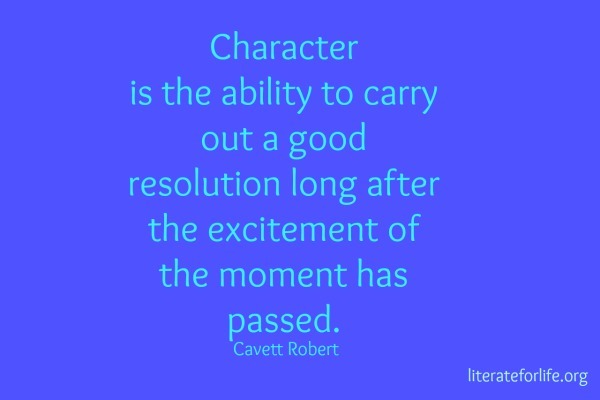 So, be sure that the first New Year’s Resolution is obtainable and set up baby steps to get there. Success breeds success. Always. 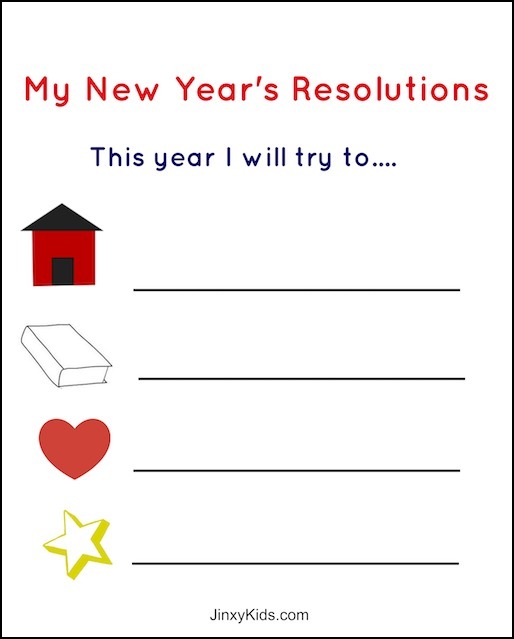 After the children have brainstormed and completed the printable planner, I have them use the following frame to write their New Year’s Resolutions into a poem. They love doing this. (It is sneaky. 🙂 ) It gets them writing and they like it. 🙂 By providing a simple frame, they are successful with completing a poem. This is the year for me! Viola! In just 5 steps, you and your children have read a book, set goals, used a calendar, and written a poem. Amazing! All of these are life skills that you are embedding in your children for their future.